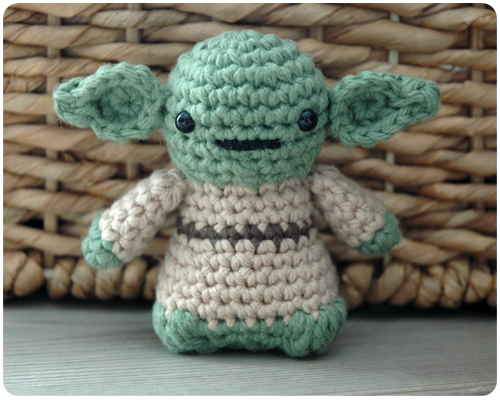 For our tenth wedding anniversary back in October, I crocheted a Yoda for Steve. He loved it and took it to work to put on his desk. 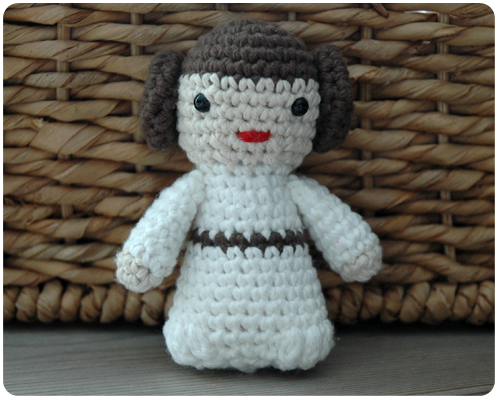 Over the last few months the little guy has stood there beside his computer attracting quite the attention....so much so that I was asked to crochet a Yoda, and several other Star Wars characters, for one of Steve's coworkers. 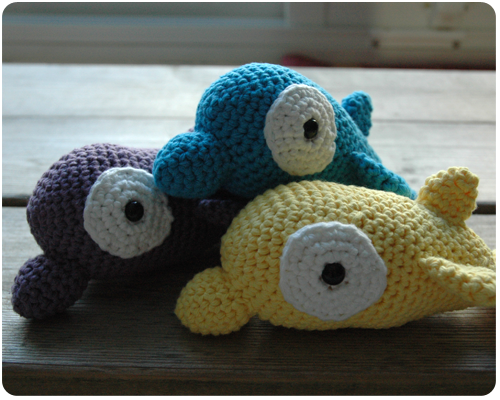 Like it was with the dolphins, I was thrilled to have my work recognized and have someone request a crochet item from me, so I eagerly accepted the job. And then I learned that this coworker wanted these little figures for Christmas. Yikes! Needless to say I have been working on these guys every chance I have had for the last few weeks. And yes, I have callouses on my fingers and thumbs. But they are done now, and they look incredible!! I am so happy with them. 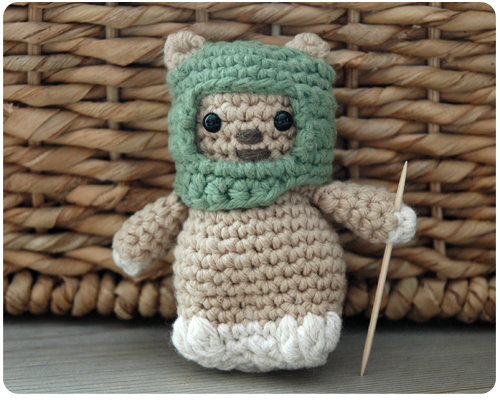 I am definitely going to make them for our household as well. 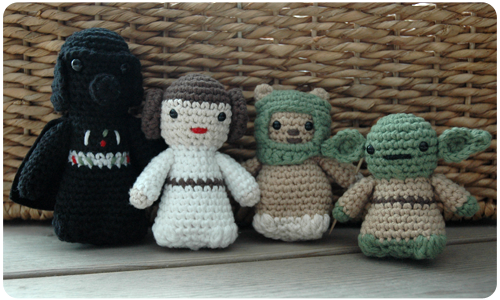 The pattern I used is from here - an amazing source for fun, funky, pop-culture inspired amigurumi patterns. I used both Bernat Handicrafter Cotton and Lily Cotton - all from my stash - for this project. What do you think? I absolutely love them! 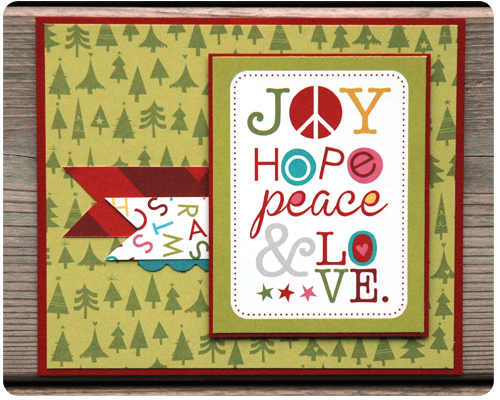 I have a few more Christmas cards to show you today. These ones were made with Bella Blvd. 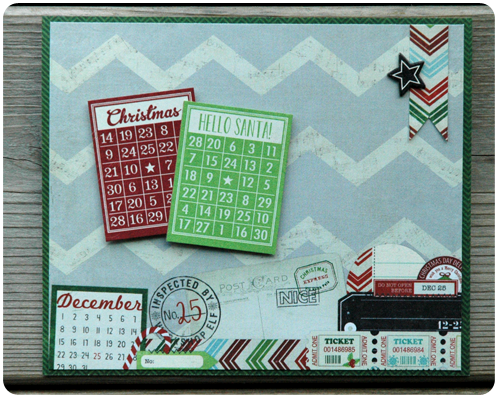 's Christmas Countdown line (the same line I used for yesterday's layout). This last card (below) was both a lot of fun and a challenge to make. 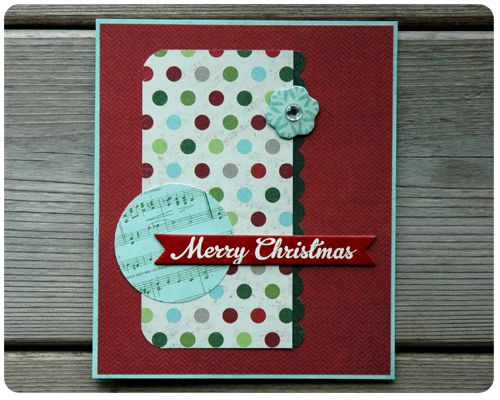 I punched all the circles out using my Fiskars circle punches and then tried to lay them out in a random pattern on the card. Designing a random pattern that looks balanced while not too cluttered is a lot harder than you might think. I did a lot of fussing about and adjusting while making this card, but in the end I have to say that I am happy with the result. I can not believe how quickly Christmas is approaching! How are all your preparations coming along? 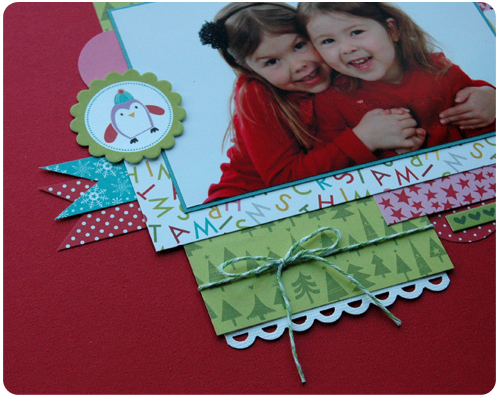 Have you made any Christmas cards? This week's crafty challenge over at The Memory Nest is a color and theme challenge with a twist. 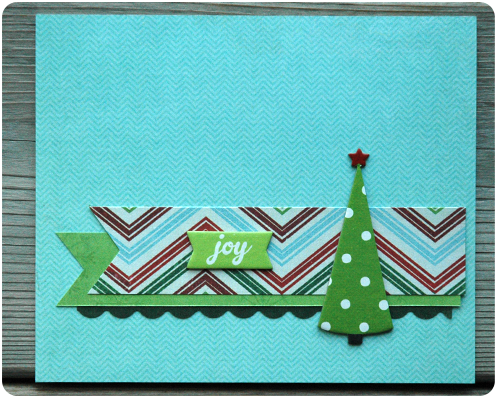 The theme is Christmas or Winter - very appropriate for this time of year. 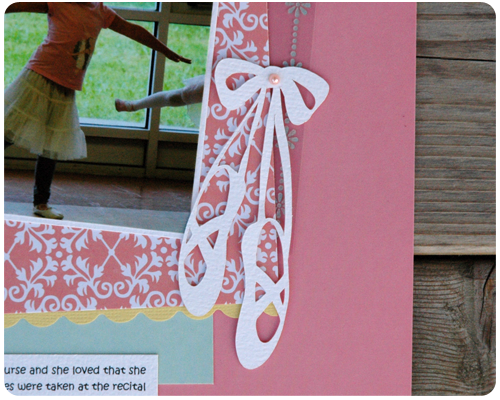 And the twist is to add texture to your page through the use of "canvas, burlap, doilies, lace, ribbon or crochet". 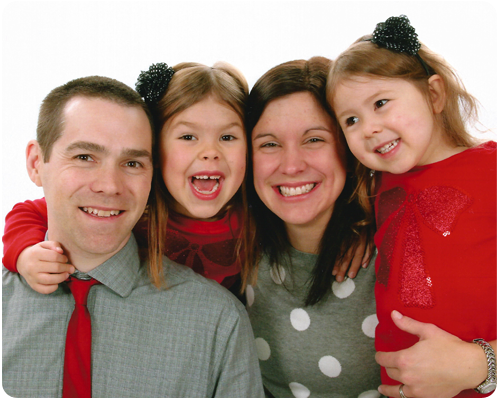 For my layout I used a picture of the girls that we had taken for our Christmas cards this year. This is hands-down one of my favorite pictures of my girls ever. The paper I used is from Bella Blvd. 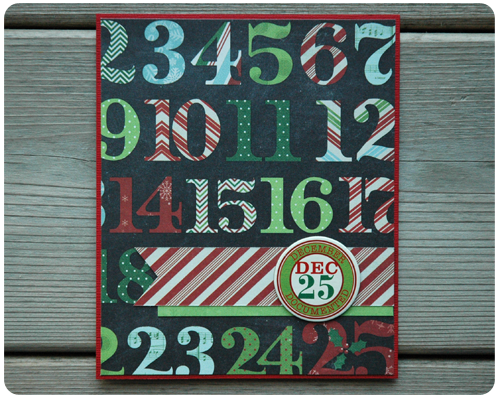 's Christmas Countdown line which I purchased a few weeks back after my unfortunate scrapbooking garage sale experience. The embellishment stickers are from Bella Blvd. 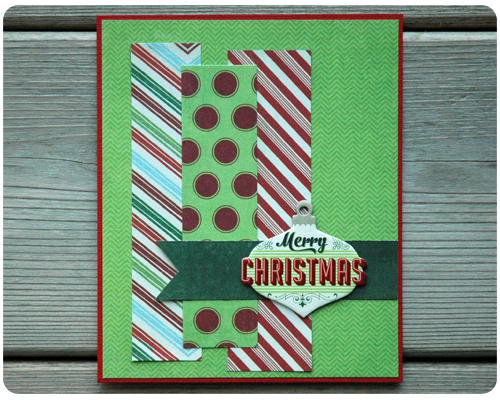 's Christmas line from last year; I had them in my stash and I love how they coordinate so well with the current line. To add a little texture to this page, I really layered up my patterned papers and tied some bakers twine around one of them. I am so happy with this layout. 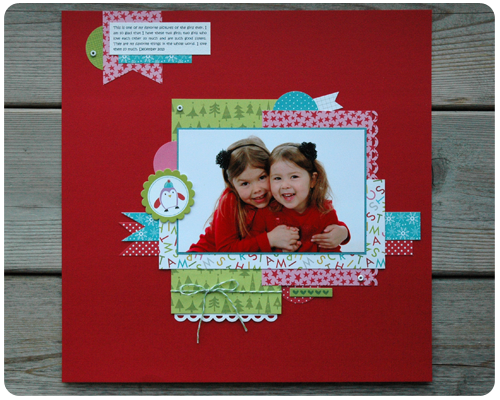 I love the picture, the papers, the layers...it is one of my favorite layouts that I have done lately. 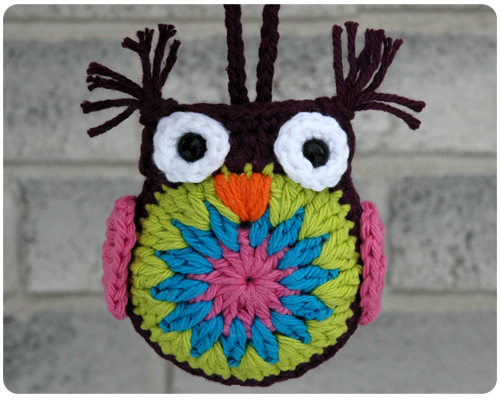 Now, as an avid crocheter I was inspired by the idea to add crochet to my paper crafting. In fact, this is an idea that has been rattling around my creative mind for quite some time, so faced with this challenge I decided to go for it and try to combine crochet and paper crafting. 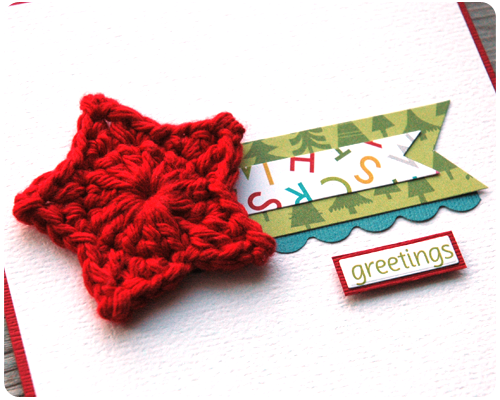 I began by crocheting a red star (using the same pattern that I used for my Crochet Christmas Star Garland) and then I made this card. 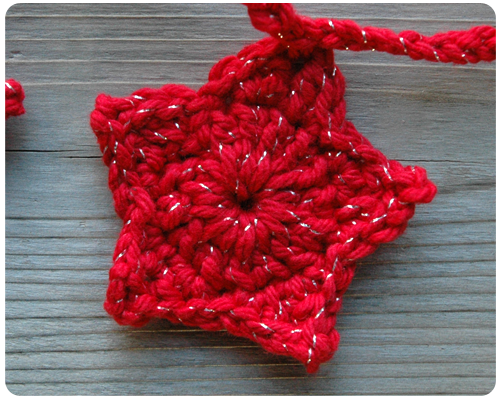 I found that a simple, clean, uncluttered design worked best when including my crochet star. And you know what? I love it. 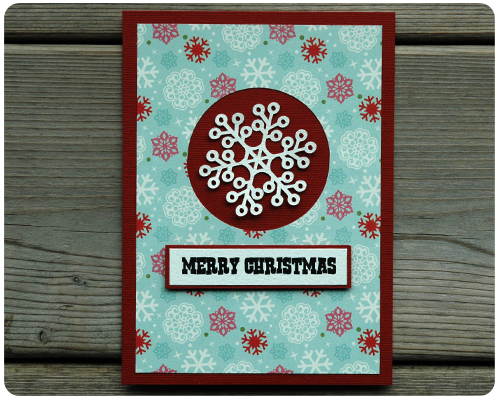 The combination of crochet and paper is really beautiful and it makes for a lovely card. What do you think? 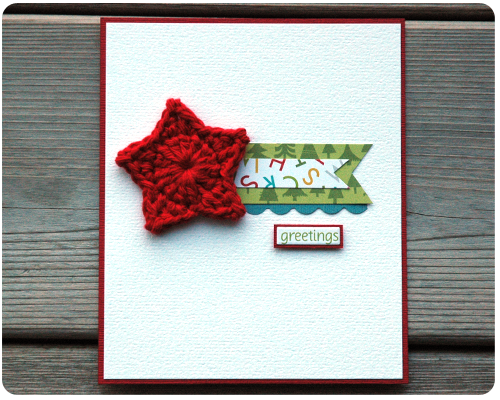 Do you like the look of crochet on a card? I do have to tell you that it does make the card a little heavy, which might make mailing such a card a little pricier, but for a hand delivered card, it would work fine. This beautiful challenge really kicked my creativity into high gear and encouraged me to act on an idea that had been simmering away in my mind for some time. You just never know where a creative challenge may take you, and that is why they are so fun to play along with. Thanks for reading, and I'll see you back here tomorrow when I'll show you a few more Christmas cards. Last week Bridget was sick and home from school. And I was home with her. While she slept, I found myself in my quiet house with the day stretching out ahead of me completely unscheduled. So what did I do? I left the cooking, the laundry, the cleaning, and all the other chores alone and I sat at the kitchen table drinking cup after cup of coffee while making these two little guys. Both are Christmas presents – one for my Oma and the other for my sister. 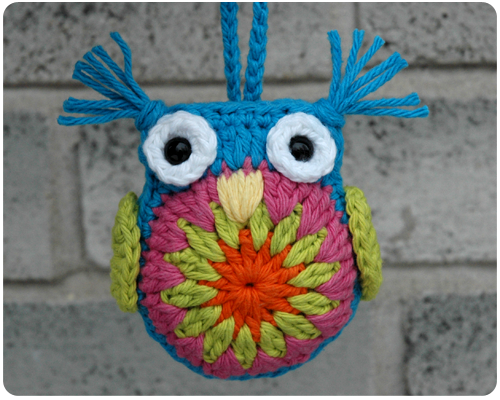 The pattern I used can be found here. I had a lovely day and truly enjoyed the calm of crochet, the time to recharge and relax, and also the happiness of having made some sweet presents for two very special people. Bridget rested and is feeling much better. Saturday night, after the girls were in bed, I put on my cozy pajamas and fuzzy socks and sat down at my craft table to make a few more Christmas cards. 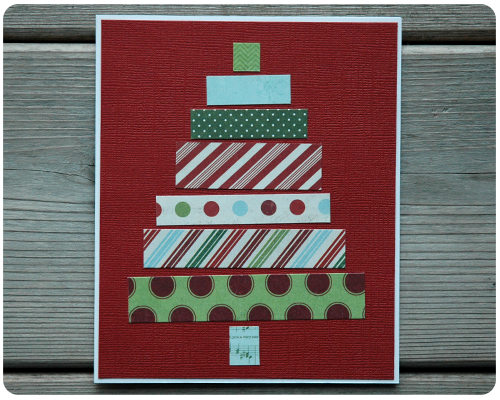 Now I can hardly claim the idea for these strip Christmas tree cards as my own, as this design is everywhere. And now I know why, these are so fun to make. I knew I would drive myself bonkers if I tried to make all the strips straight, so I angled all the pieces purposely. And that was my Saturday night – cozy and comfortable while making cards. That’s what I call a good night in. 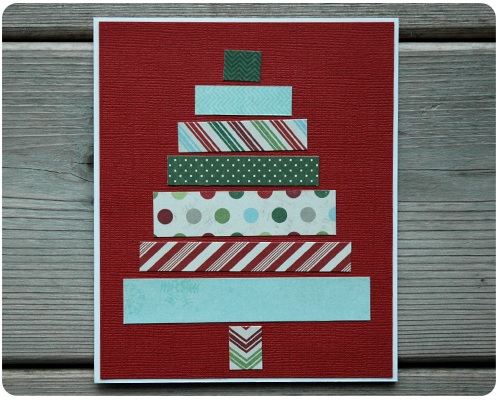 I'm back again this week with a few more Christmas cards that I made using paper and embellishments from Simple Stories. 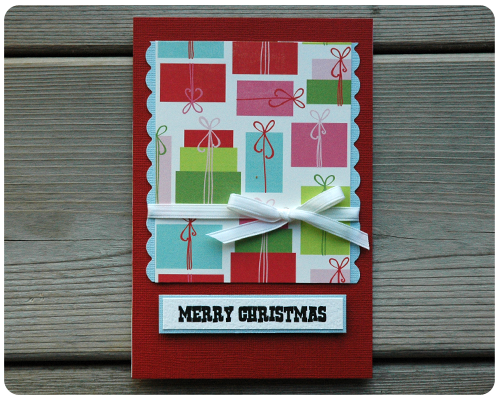 To see the other Christmas cards that I have made with this paper line click here. 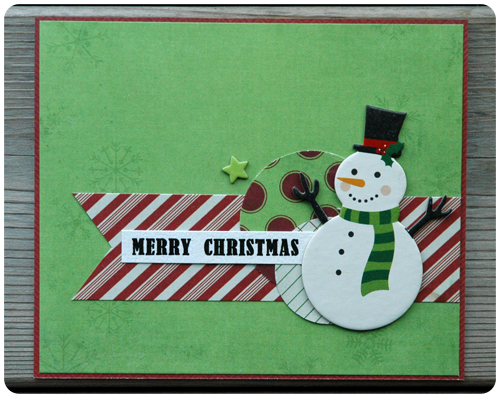 And please come back next week to see more Christmas cards....because as far as card making goes, I am focused on Christmas from now until the big day. So fun! 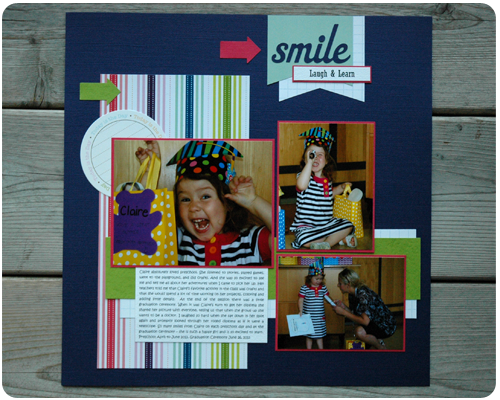 Today I am sharing a layout I did for Make it Monday at The Memory Nest. 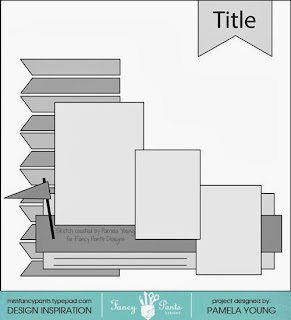 The challenge this time around was to follow a sketch, use something from your office supplies on your layout, and use one of the following phrases as a title for your page. I chose to use three pictures from Claire's preschool graduation and followed this sketch. I had to change things up a bit since my pictures were not orientated the same as the ones on the sketch, but other than that I stayed true to the original design. 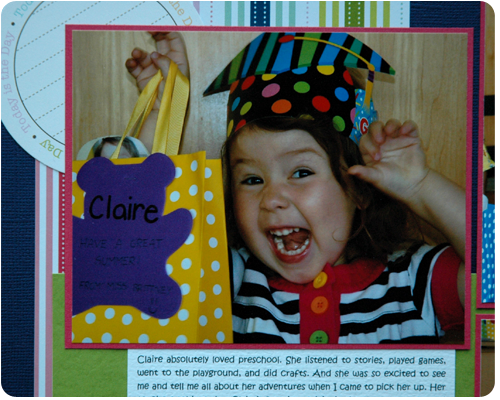 Claire was so excited to graduate from preschool. I love this picture. I combined two of the phrases to come up with the perfect title for my page. As for including something from my office supplies, truth be told, I struggled a bit. I was going to put a paperclip somewhere on the page, but I did not like how it bent the papers. Instead I settled for some graph paper (not real graph paper, but from Scenic Route) and I printed out part of my title (Laugh & Learn) using my printer....which is in my office, so that totally counts. 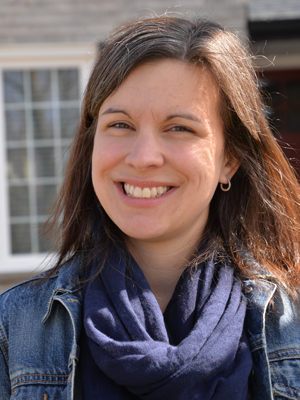 All in all, another great challenge hosted by Leslie over at The Memory Nest. Be sure to stop by and see the layouts done by the other ladies on the Design Team, and maybe even link up your own creation. A bowl of pompoms. 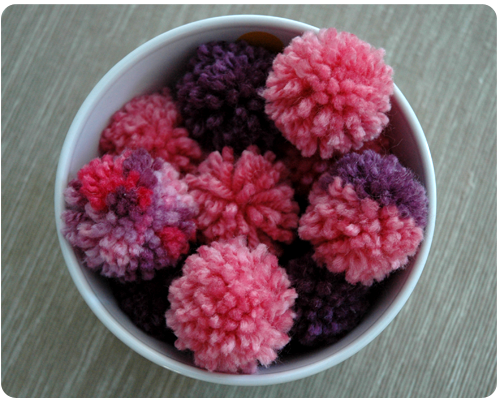 After finding my pompom makers in the drawer, I set out to make just a few and ended up with a whole bowl full. The girls found these incredibly exciting. 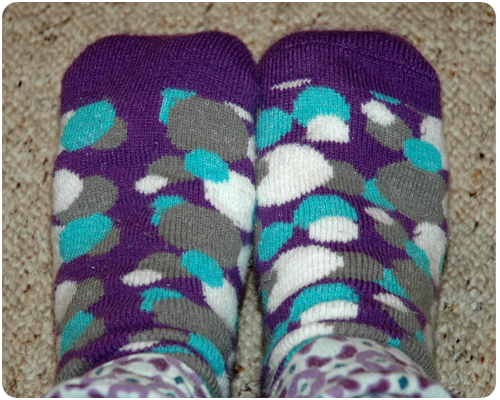 Warm, fuzzy socks. It is getting really cold and these socks always do the trick to keep my feet warm. 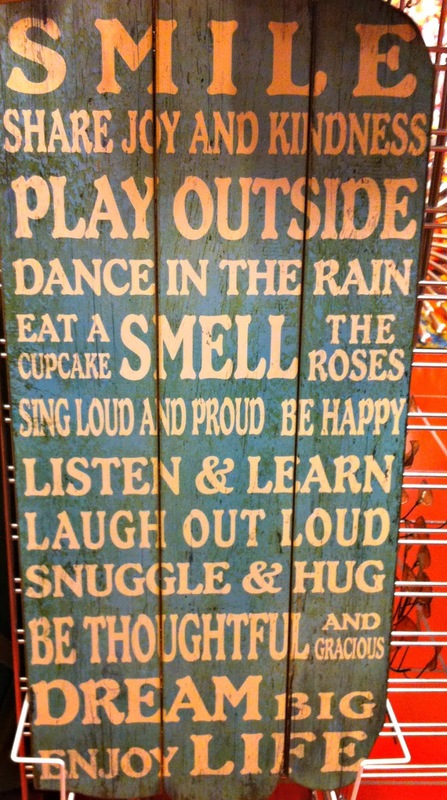 Plus, they are really fun. 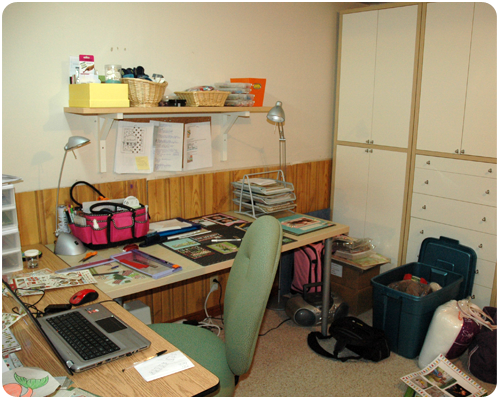 My craft corner. It is not pretty, and it is a total disaster right now, but I am so happy to have a place where I can pursue my hobbies. I would be such a wreck if I did not have this spot to be creative and recharge. Last year I bought some Bernat Handicrafter Cotton in Red Sparkle for next to nothing from a Christmas clearance bin. What to make with sparkly red yarn, I thought. Well, after perusing my usual sources of inspiration - blogs, Pinterest, pattern books - I decided to make stars and then string them together to make a garland. Over the past year I have been crocheting these stars - a few here and there in between other projects. 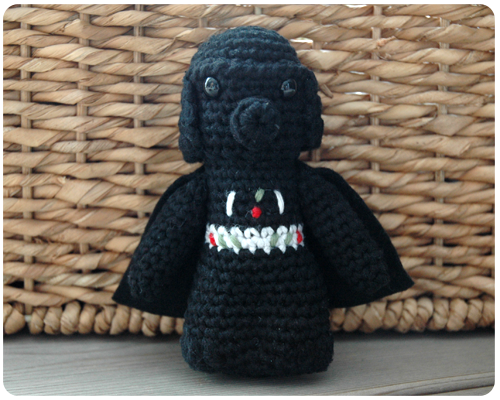 I even spent some time in the car while we were on vacation making them. The star pattern I used can be found here. 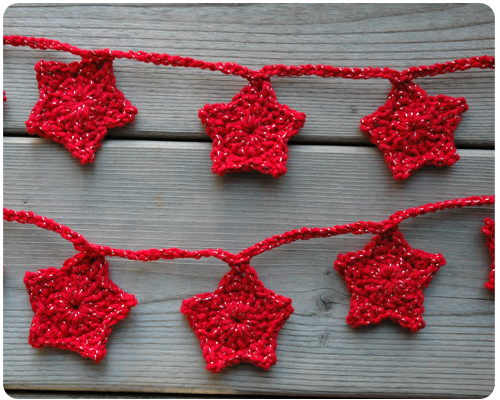 When I had a good bunch made I simply crocheted a long chain and attached the stars. I am going to see how this garland looks strung on the Christmas tree or I may hang it on my barn board wall art in the living room. I'll have to see where it looks best. I have wanted to add a little crochet goodness to my holiday decorations and this garland is a great start. I have a few Christmas cards to show you today. 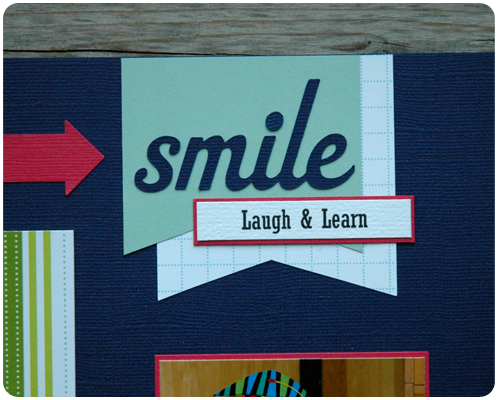 I used the 6x6 paper pad from Simple Stories and the coordinating chipboard stickers to make these cards. 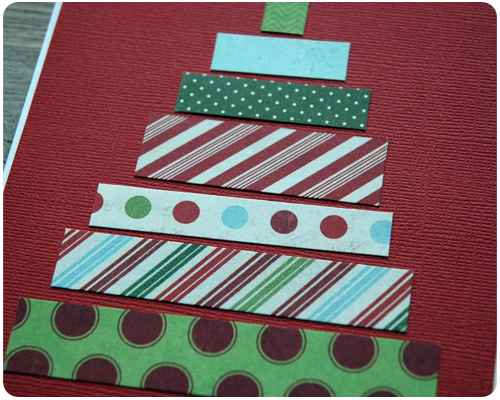 Making these cards has really put me in the mood for Christmas. I am really looking forward to the holidays this year - the gatherings, the food, the gifts, the decorating. Can't wait to enjoy this magical time of year with my family. 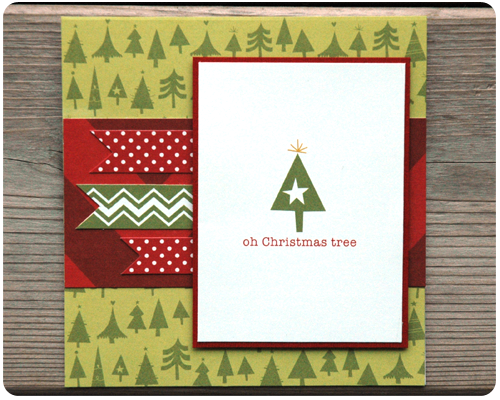 I'll have a few more cards to show you next week, and every week until Christmas. I've got a lot of pretty paper to work with which is providing me with lots of inspiration. Thanks for stopping in and I hope all your holiday preparations are going well. I have learned a very valuable lesson....the hard way, but isn't that how it goes? Last week I mentioned that I had gone to a scrapbooking garage sale - referring to it as 'the happiest place on earth' - and eluded to all the fantastic deals I had scored. Sadly that was not the case when I looked, or in this case, smelled closer. Over the weekend I went to unpack my sale purchases, looking forward to sorting through all the pretty paper and embellishments while smugly noting how cheap I had got this product for and how much money I had saved. Unfortunately when I opened the first bag of paper I was overcome by the horrific smell of cigarette smoke. Yuck! If there is one smell that I can not stand it is cigarette smoke. I instantly got a headache. Frantically I ripped open the other bags of paper and bag after bag the smell was there. Some smoker, with fantastic taste in scrapbooking paper and supplies, had brought their wares to the sale and I must have bought it all. After smelling each piece of paper and embellishment package, I ended up with a big pile of pretty but smelly product that I needed to throw in the garbage. I was in tears, what I had thought was such an incredible deal was a total waste - of time and money. I was not happy. What was worse, was that I had bought a lot of Christmas product at the sale with the intention of making cards, and now I was back to square one with no Christmas papers to work with. I hated throwing out all this product, but there was no way I could possibly use it in my own albums or for cards to sell in my shop. Crafty Cucumber cards are not smelly. It was then and there that I declared that I would steer clear of scrapbooking garage sales in the future. It is not a deal if I have to throw more than half of what I bought in the garbage. And the risk of buying something smelly is not worth the cheap price either. Buyer beware I guess...and a valuable lesson learned by me. But there is a happy ending to this story. While I was at work on the weekend, Steve and the girls went to one of the local scrapbook stores and bought me two whole lines of Christmas paper to replace what I had to toss. And at the same time I popped out to another local scrapbook store on my lunch hour and bought two other Christmas lines (luckily we both bought different stuff). 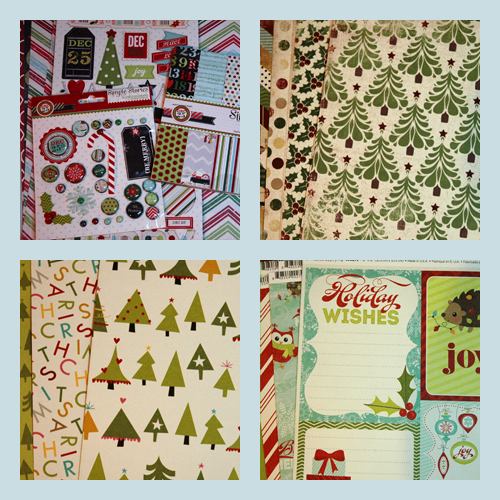 Needless to say, I now have lots of Christmas paper - new, not smelly, and ready for some card making. My new Christmas paper! I am so excited to start working with you. Today is another Make It Monday over at The Memory Nest. What a great way to start off the week. 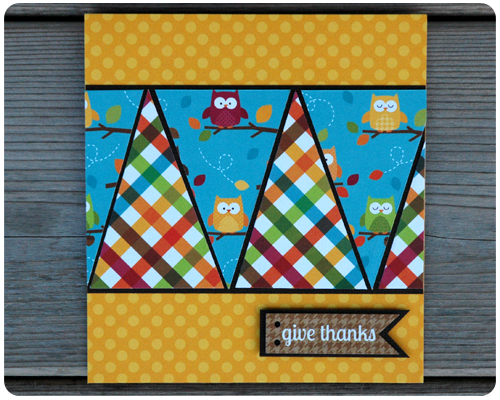 There are three parts to the challenge this time around - a thankful theme, using triangles, and using this color combination. Here are the three cards that I made. 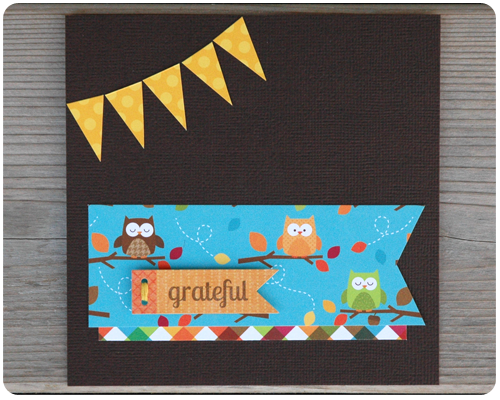 The paper and embellishments are from the Happy Harvest line by Doodlebug Designs. Just a note on this first card: I left the journalling block on the front of this card blank so that when I actually use it, I can write a specific message on the front. Nothing is better than a detailed and personalized thank you so why not put it front and center. I love the bold patterns and the bright colors. Finding ways to include triangles on all three cards was actually a little easier than I thought it would be - for the first two cards I just put them in to fill in some empty space and add a little detail, and for the third card I went with a full out triangle design that was a little tricky to cut but looks so sharp. 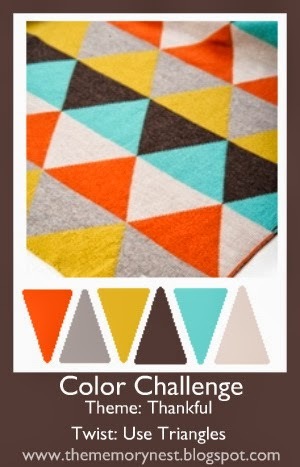 Think you're up for this thankful, triangle, color challenge? 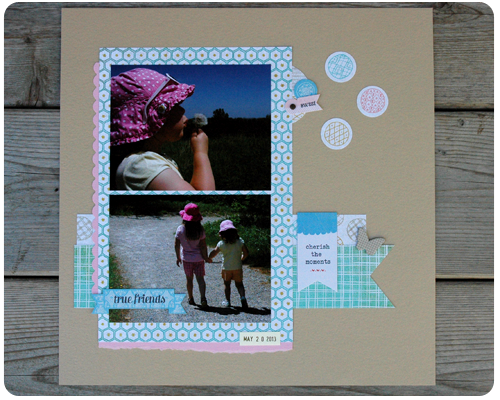 Head on over to The Memory Nest and link up your creations. Thank you for stopping by. Happy Monday. As I have been looking back through my 2013 pictures and deciding which ones to scrap, I have tried to include pictures from both big events/holidays and from everyday life. 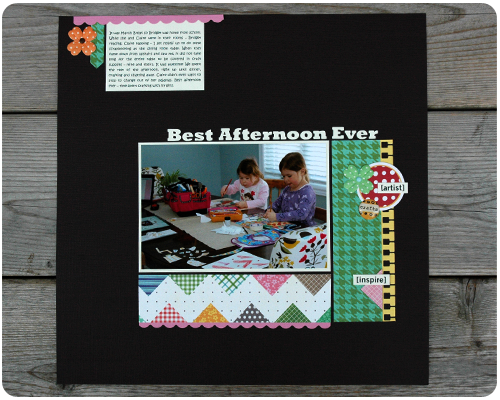 When I came across the picture on this layout - of my girls crafting at the dining room table with me - I knew it was one of those 'everyday moments' that I needed to include in my album. 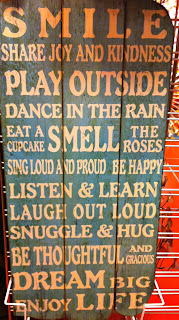 This rings especially true now that both girls are in school full time and afternoons like this one happen less often. 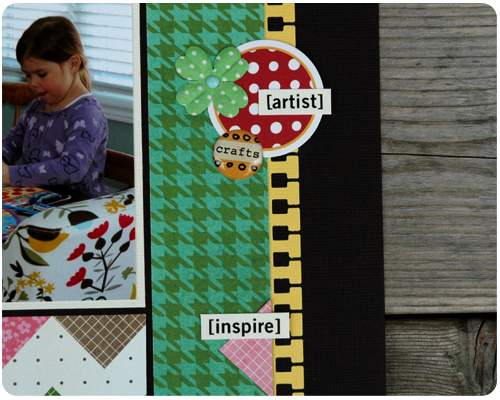 There is a lot going on in the photo - lots of colors, the cluttered table - so I was happy to find the patterned paper with all the colorful triangles on it. This paper is from Pebbles Inc. and I think it works perfectly with the picture. To keep the pattern from overpowering the page, I used a small amount. The green hounds tooth patterned paper is simply the back side of the triangle paper - a strange combo if you ask me, but hey, it worked well on this page. 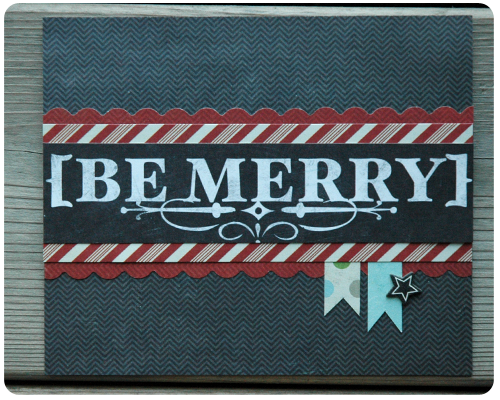 All the embellishments are from my stash - again, lots of rummaging around while I was working on this page. I am so glad to have this page to add to my album. It captures a memory that I will treasure always - a normal afternoon crafting with my girls, the best afternoon ever. What about you - are you a big events scrapper, or do you include 'everyday moments' in your albums? Well the time has come, the time to start making Christmas cards. I am really looking forward to getting at it this year. My Christmas stash was really sparse after all the Christmas layouts that I have done lately, but lucky for me I was at a Scrapbooking Garage Sale (otherwise known as "The Happiest Place on Earth") this weekend and scored some incredible deals on Christmas products. 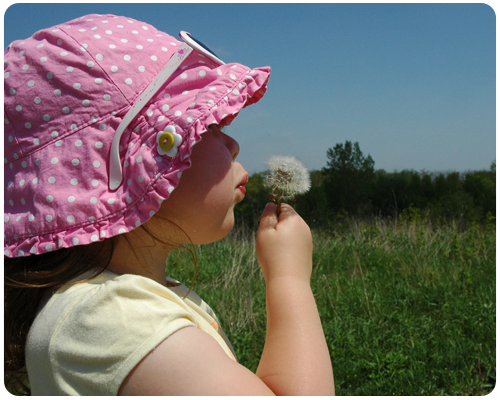 On a warm, sunny day in May we visited a local nature park. This park is not too far from our house and there is a nice path that winds through a field and forest that is perfect for an afternoon walk. 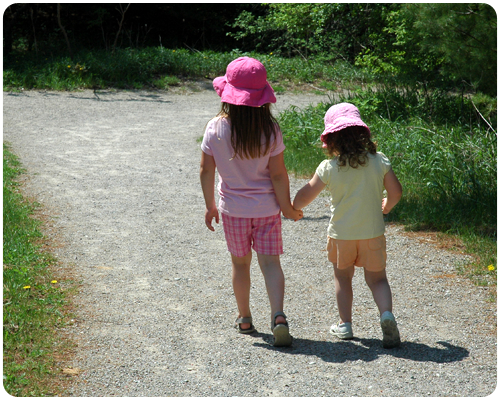 On this particular walk, I snapped two incredible pictures of my girls. 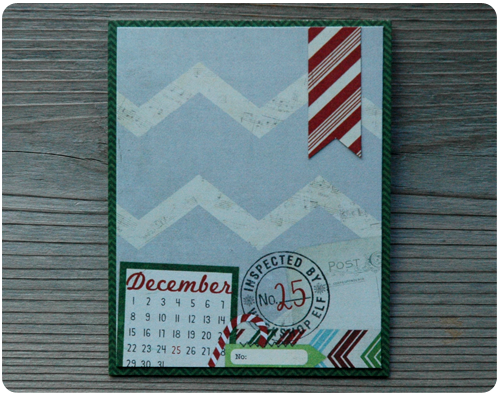 Using these pictures, and some leftover paper from the Basic Grey Paper Cottage Collection, I put together this clean and simple layout. 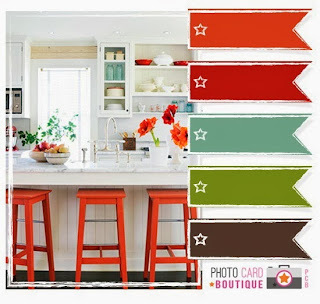 I wanted the focus of this layout to be on the pictures, so I chose this paper for its subdued and muted colors. I also kept the embellishments to a minimum. Thanks for stopping in. Have a wonderful day.